VISTA is the 4.2m Visible and Infrared Survey Telescope for Astronomy on Paranal. VIRCAM is the VISTA InfraRed CAMera attached to VISTA. The one mode imaging only instrument VIRCAM is equipped with 16 2048x2048 pixel NIR detectors (64 megapixel in total) with 1.65 degree diameter field of view. These pages contain information about VIRCAM Quality Control, pipeline processing, and data flow operations. This section of the Data Processing and Quality Control web pages covers the VIRCAM data. 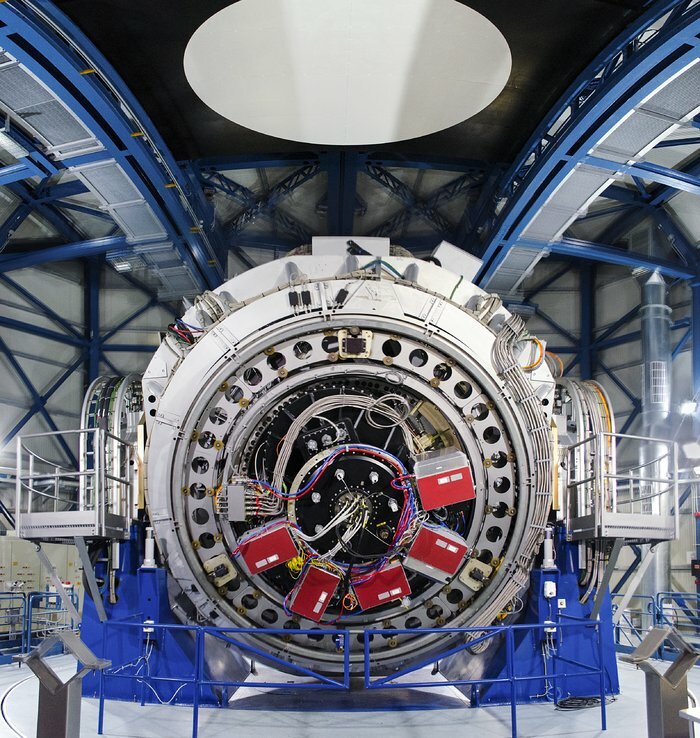 VIRCAM is operated by ESO to execute public survey programmes. All calibration data from VIRCAM pass Quality Control Garching. Use the VIRCAM archive web page to browse and download VIRCAM raw data. See also the page about VISTA Public Surveys.